What Colors Match With Silver? 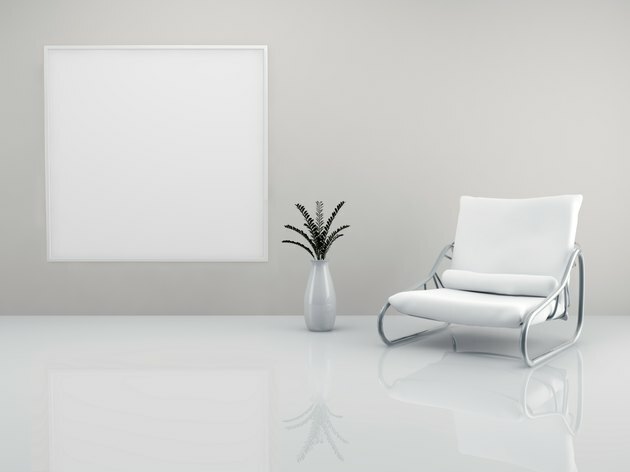 Whether you're attempting to introduce silver into your decor or you own loads of silver-toned furniture and accessories, you might be concerned that your space will look either too formal to too industrial. But a sterling silver tea service, stainless steel utility cart or a silver accent wall can be part of a comfortable and inviting interior. Use color -- from neutrals to the brightest brights -- and create rooms that take advantage of perhaps the most versatile of the metallic colors. Use silver and its relatives chrome, steel or nickel with any hue -- or none at all. Red upholstry works with silver. The contrast you get from combining black, navy, brown or red with white or cream creates a dramatic space, and silver enhances that look. 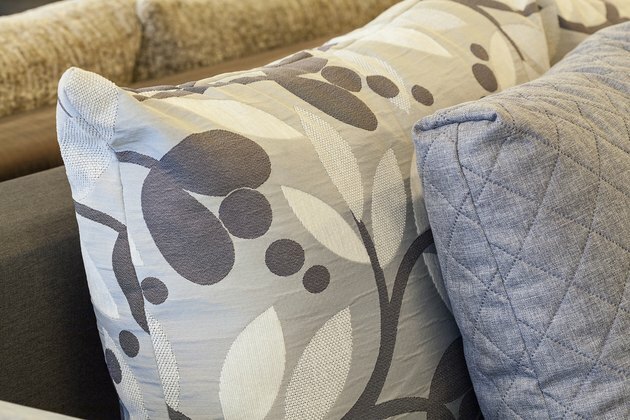 Achieve modern or traditional style through choices with upholstery and silver-toned pieces; this color scheme is an ideal place to feature a dramatic silver-and-white or silver-and-cream fabric-covered chair. If you prefer a modern look, chrome is a good choice for legs on a sleek black table and chair set or on a red block-shaped sofa. Accent a brown and cream bedroom with a silver-framed mirror and silver lamps. 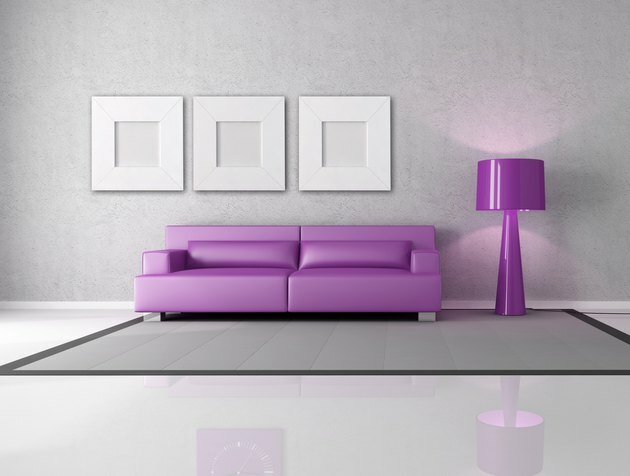 Strategically place your metal surfaces to reflect the color in the room. Combine silver tones with neutral colors. Silver tones have a more cooling, soothing effect than the warmer gold, brass or copper. Combine silver with pale neutrals such as dove gray, beige or cream for a relaxing environment. Show off your personal style through the use of silver in the details. In a traditional space, dry brush or rub silver accents on cream-painted wood tables with cabriole legs. Trim a beige chair with a fringe or cord containing silver threads. Add a silver-leaf chest or picture frame. For urban chic, adorn a gray sofa with throw pillows covered in a silver-patterned fabric, or paint the wall behind it silver. Choose aluminum dining chairs to use with a pale rustic wood table. An area rug in silver-gray synthetic fiber lends a soft sheen. Add a pop of your favorite color in an accessory or piece of art. Silver works well with warm and cool colors. 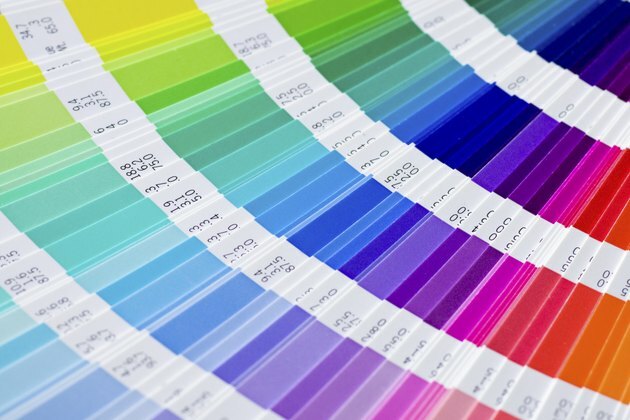 If you like to explore and stay on top of the latest color trends, look to the Pantone company -- recognized worldwide as the authority on color. Each year, Pantone announces its "Color of the Year," and decorators scurry to design rooms using that hue. With any year's recognized color, whether green or orchid, you can create a monochromatic scheme using its tints and shades, and combine it with silver for a trendy and upscale look. Silver works well with both warm and cool hues and provides enough light to balance darker shades and rest the eye in a monochromatic scheme. 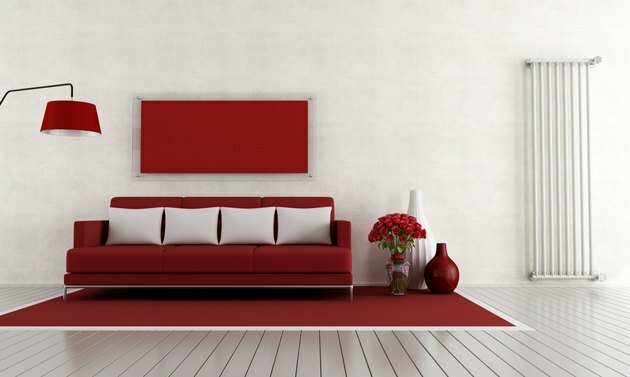 For more light in your space, choose lighter tints of your hue for walls and larger furniture pieces. Vibrant colors give an 80s feel. It doesn't matter which decade you choose or which metal tone was most popular at the time -- its dominant colors work with silver. For the excitement of the 1960s, choose among the flower-power colors of bright pink, orange, sunny yellow, aqua, grass green and violet -- and consider one of those in leather. If you're earthy, use avocado green, rust, harvest gold, sienna, coffee or corsair blue from the '70s. For the vibrant '80s, select among purple, rose violet, orchid and royal blue. Add silver tables, accents or accessories to any of these palettes, but opt for the softer antiqued or champagne silver tones with '70s earth colors to retain their mood.